One of my favorite things when selling a Massachusetts home is to receive multiple offers. I know there are a lot of Real Estate agents that hate this situation because on many occasions it can become contentious. When there are multiple offers on a home from a couple of different parties there is only one winner. Like everything else in life you can encounter some sore losers. As a sellers agent, I could care less because my job is to get my seller client the best terms and conditions possible. It is not my job to worry about another Realtors or buyers hurt feelings. What I have found about handling offers is that many Realtors do not have a clue about Massachusetts laws when it comes to this subject. It seems there are quite a few that like to make their own determination of how things should work. Here are a couple of mistakes that I see constantly being made in this business from agents that don’t know any better. In Massachusetts all offers whether verbal or written must be presented to the seller. It is not at the listing brokers discretion to determine what is or isn’t worthy the sellers consideration. No matter how crazy an offer sounds, it is not up to the listing agent to be the judge of the offer. It is a violation of the code of ethics to withhold any offers whether verbal or written. Do you know how many Realtors I know that flat out say they will not present an offer unless it is in writing? Lots! In fact just last week another agent was asking me about presenting offers because she was taking a continuing education course and the instructor told her that she did not have to present an offer unless it was in writing. It seems crazy that someone who is teaching Realtors what is proper or not does not even know the laws themselves! One of the other biggest myths surrounding Real Estate offers in that a Realtor can not reveal the terms of a buyers offer to another buyer or their agent. 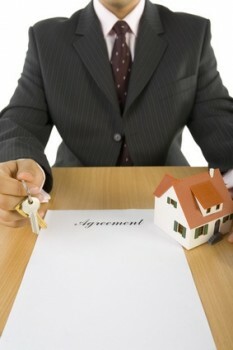 “Seller here by authorizes the broker to disclose to perspective buyers whether an offer has been submitted on the property and to disclose whether the offer is from a buyer introduced to the property from the listing agent, by other licensee associated with the broker, or by a cooperating broker. The key here is that the seller needs to give their agent permission to reveal any terms and conditions of the offer to another party. If providing this information could help the seller achieve a better price for their property then the Realtor should be doing whatever it takes, as long as it is within the legal boundaries of the law. The seller’s agents fiduciary duty is to get the seller the best terms and conditions possible. A Realtor who reveals the terms and conditions of a competing offer without the sellers authorization to one buyer, gives that buyer an obvious advantage over the others which breaches the duty of fairness owed to the other buyers. When it comes to Handling multiple Real Estate offers in Massachusetts there is quite a bit to consider. At the link provided I have summarized everything you should consider as a Massachusetts home seller when you have multiple offers on the table. About the author: The above Real Estate information on handling offers when selling a Massachusetts home was provided by Bill Gassett, a Nationally recognized leader in his field. Bill can be reached via email at billgassett@remaxexec.com or by phone at 508-435-5356. Bill has helped people move in and out of many Metrowest towns for the last 24+ Years. Bill thanks for this post on handling offers. I followed the link to your article on what to consider when you receive multiple offers and found it to be very informative. It is interesting what you wrote about disclosing a buyers offer because over the years I have had a few Realtors tell me they could not disclose another offer eventhough I thought it would help my position. John this does not come as a surprise to me at all. I bet if you asked ten Realtors the question on whether or not they could reveal one buyers offer to another buyer with the sellers permission, nine out of ten would get it wrong. This of course is kind of crazy because there are times, as you mention, where it could help the sellers position immensely! The is really an excellent post Bill. One of your best. I will forward on to my network. Thanks Rich. There are quite a few misconceptions regarding Real Estate offers. I appreciate you passing this on for me. Hi Bill, I think that the listing agent has to be very careful to caution the seller that when you reveal the terms of the other buyer’s offers, that instead of encouraging the buyers to increase, or make their offer better – they very well may get scared off. The competition from other buyers may make them think that they don’ twant to be involved in a bidding war, and they may withdraw and go elsewhere. It’s a delicate tightrope where the listing agent needs to be careful how they present the information – if they choose to at all. The seller has to recognize the risk that they take, too. This is where it pays to be a good agent who can read personalities, and have a calm and well balanced professional demeanor. Good points – we need to know all of our options, then chose carefully! Stacey while agree with the premise that in a multiple offer situation you always have to be cognizant of one party backing out, you would not be letting both parties know that you have revealed their offer. The goal is always to maximize what the seller will get for their home. If revealing an offer would help the seller achieve this goal that is what should be done. If a buyer is going to back away because there are multiple offers then I don’t believe they are that committed to the home to begin with. You are right there will always be risks. Bill – very informative post. And I am glad to say, very timely since multiple offers are now creeping back into Southern Maine. Thanks Margaret. I appreciate the compliments. I know there are many Realtors that do not realize you are allowed to share a buyers offer with another if it helps the seller’s position. The key of course in revealing any information is to have the seller’s permission to do so. Bill, another great post for MA buyers, sellers and real estate agents who don’t know better. Here in CT we are very different, yet many people who should know what the rules are, don’t. Knowing what works best, understanding your market, these are key. But following the rules, that is just a no brainer. I guess you have to know the rules first. We cannot divulge another offer to a potential buyer UNLESS directed to by the seller. Because of this I am able to negotiate each offer on its own merit, weighing all options with my sellers. But I have been slammed, even threatened by agents who lost out. You never told us, we had a right to know. Nope, sorry, you didn’t have a right to know. My sellers often prefer to look at each offer separately and negotiate them that way. An offer must be signed in order to be worth anything, and perhaps there is the confusion. Verbal acceptance means nothing, so even if you work out the details verbally, it would behoove both the buyer and seller to tie it up in writing. I don’t like verbal offers, but I present them. Then if all is well I move fast to get it in writing. Bottom line, no matter if you are buying or selling in MA or CT, or anywhere, make sure your agent knows the laws, the rules. Andrea you have hit the nail on the head. There are different rules and procedures for handling a Real Estate offer in every situation. Of course it is awfully hard to advise a client of the best way to handle an offer if you don’t know the rules to begin with. You would not believe how many Realtors I encounter that don’t know Real Estate law and try to makes things up. I bet if you asked ten Realtors in my area if you can reveal a buyer’s offer with the seller permission at least half of them would get the answer WRONG! Good post. In Toronto Canada multiple offers are common and the local board has developed forms where the sellers sign to indicate the actually looked at and rejected offers. The key is communication. On a recent offer my clients won because of what I overheard, and that played ton their advantage. Dave that is interesting! That methodology solves the problem of people doubting you have an offer and whether it was presented or not. These are basic Real Estate 101 – so how come so many agents still don’t understand? What is really hard to figure out is why so many agents think you can not reveal a buyer’s offer with the seller’s consent. I think at some point there must have been a number of Brokers teaching their agents incorrect information. Hi Bill! That misconception exists here as well. I agree that giving out that information allays concerns as to whether or not we’re being up front with ‘supposed’ vs. actual presented Offers. Most sellers don’t have a problem with me disclosing either – just ASK! Hope you have a fabulous Fourth, Bill! of his realtor agreed and signed a contract for $360,000…..but what follows is why I amwriting. The sellers realtor received another offer after we had a signed contract for higher ($390,000) and the seller’s realtor asked us to make another bid the highest and best …..shouldn’t the realtor have turned in the signed contract and let bank handle from there? Joe – Absolutely the Realtor should have presented the contract! In fact if you have a signed offer from the seller and it is still in force they can not sell the property to anyone else but you. Even if the property is a short sale? Yes Joe – this is why there are Realtors getting sued who do short sales without knowing what the hell they are doing. The only difference in a short sale is that you are asking the lender to approve a sale. If you have a legal contract to buy the home with the seller they can not turn around and sign another contract with someone else. It makes no difference that they second person offered more. If you don’t have a valid contract in place that is a different story. 21. Signed by both parties etc. We are selling a home on the South Shore and we had received an offer that we verbally accepted. In the meantime we had one last showing where the potential buyer showed ALOT of interest. We asked if our agent could contact that potential buyer and let them know we have an offer to see if they would submit a better offer. Our agent said they could not since we had verbally agreed to the first offer…is this true?? Stephanie your agent is 100% incorrect and they are NOT doing a good job of representing your best interests. I have been in this exact position many times in my career and have ended up getting the seller a lot more money than they would have otherwise. Frankly if I were you I would call and speak to the manager of the company you are working with and complain that the agent does not know the basics of Real Estate law. A Real Estate offer does not become binding until you sign it. You can get and accept another offer at any time up until the agreement is signed.